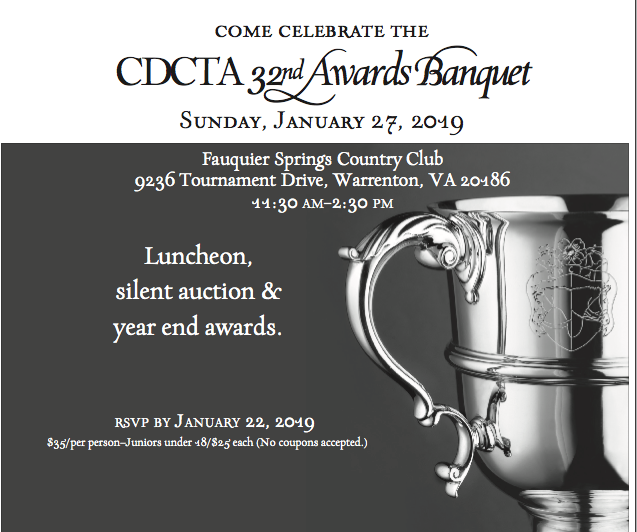 CDCTA Year End Award Banquet - Events - Commonwealth Dressage & Combined Training Assoc. Fauquier Springs Country Club does not allow guests to bring alcoholic beverages to our event. They are offering a Mimosa Package (champage + orange juice) or bottles of Champagne for pre-order. There will be an open bar at the event, but packages will not be available for sale. You must be over 21 to pre-order.